I imported Jim's pencil drawing into Toonboom to start inking it. 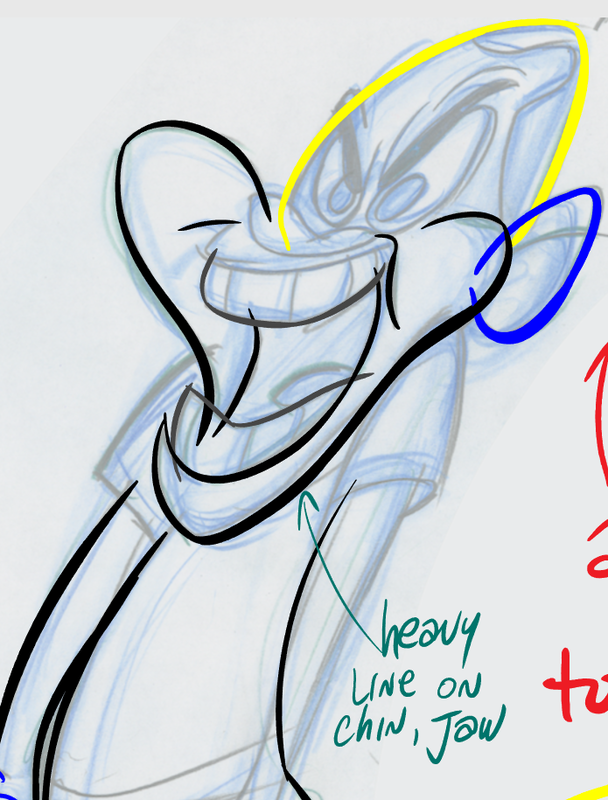 I like characters to have a feeling of weight. 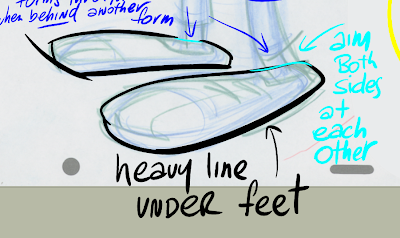 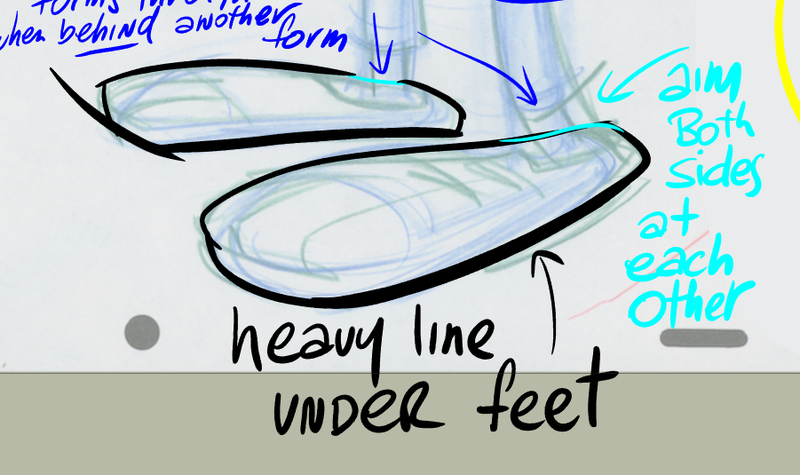 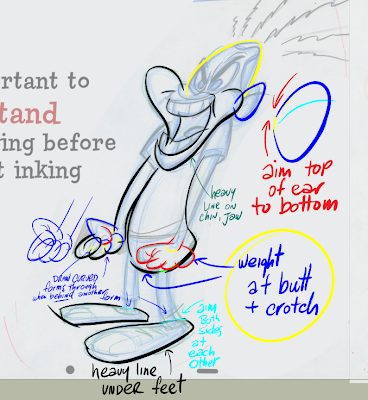 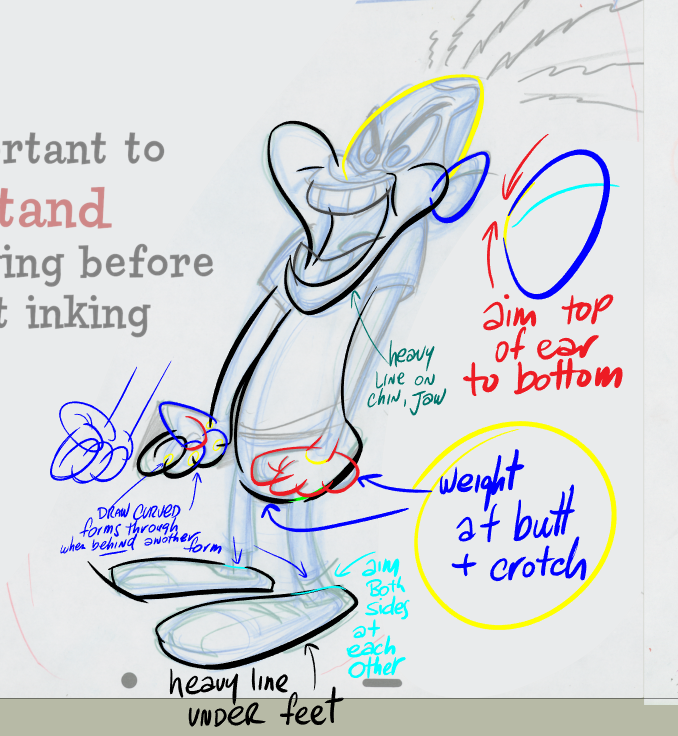 One way to do it is to drawslightly heavier lines under each form - especially the bottom of the feet. 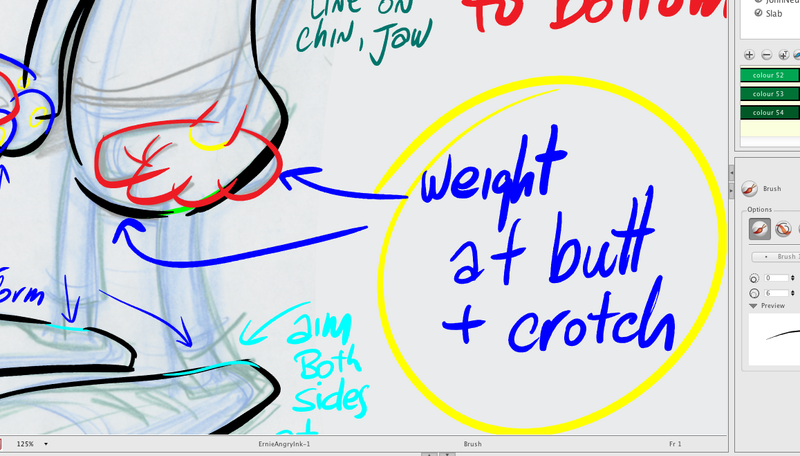 under the chin and jaw etc.